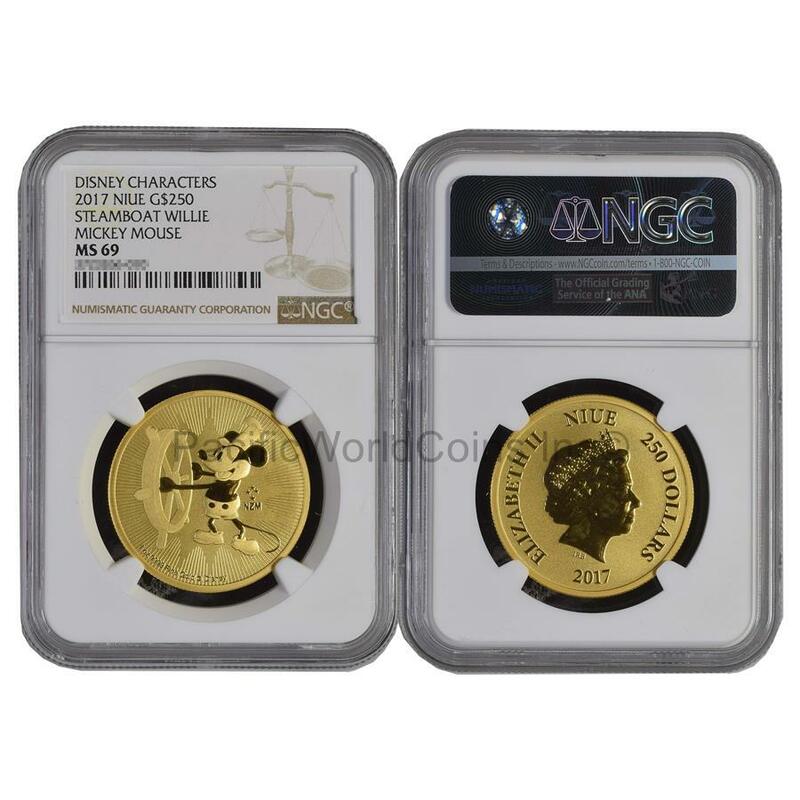 This stunning 2017 1 oz Niue Gold $2 Disney Steamboat Willie BU coin produced by New Zealand Mint features one of the most recognizable characters around the world - Mickey Mouse from his historical first film, "Steamboat Willie" released in 1928. This unique coin contains 1 troy ounce of .9999 fine Gold, with only 25,000 worldwide, that makes it a rare collectible for collectors and investors. “Steamboat Willie” is an American animated short film directed by Walt Disney and UB Iwerks. This black and white film was considered as a debut of Mickey Mouse and his girlfriend Minnie. Obverse: Features the Ian Rank-Broadley likeness of Her Majesty Queen Elizabeth II surrounded by the country and face value. Reverse: Depicts the iconic moment Mickey first found his way onto a film, which shows him gleefully steering a ship through the waters.